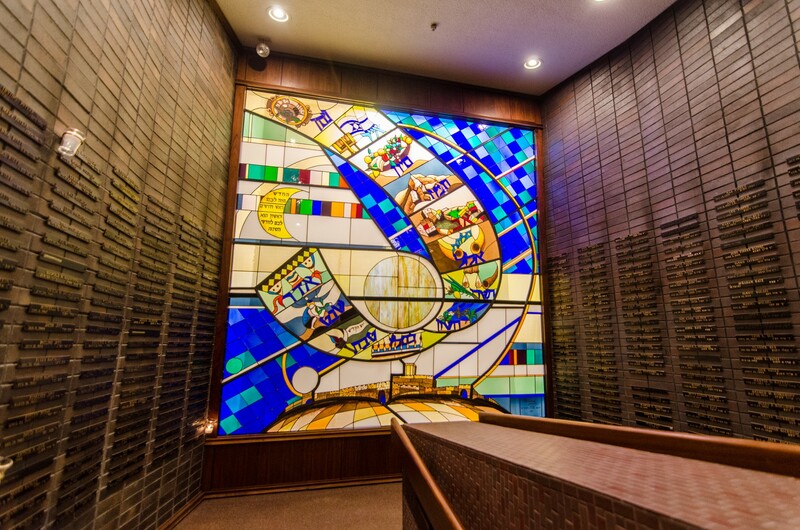 The Chicago Loop Synagogue was founded in 1929 to serve the religious needs of Orthodox Jews working downtown as well as Jewish visitors to Chicago. 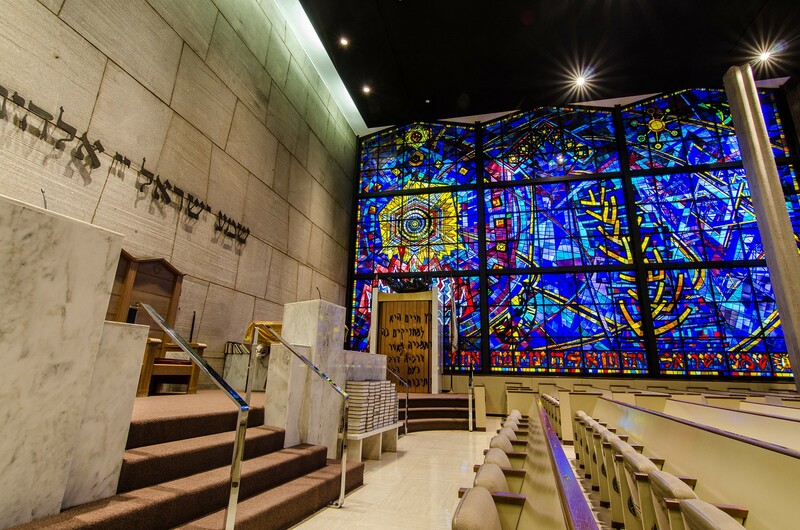 The current building was designed by Loebl, Schlossman and Bennett. 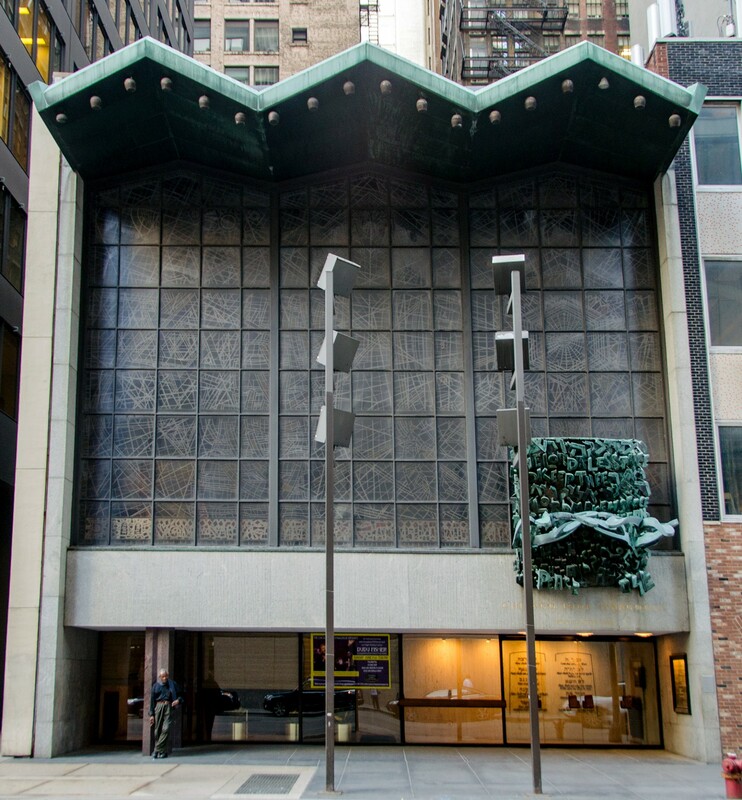 It was built in 1957 to replace a structure on the same block that had been lost to fire. 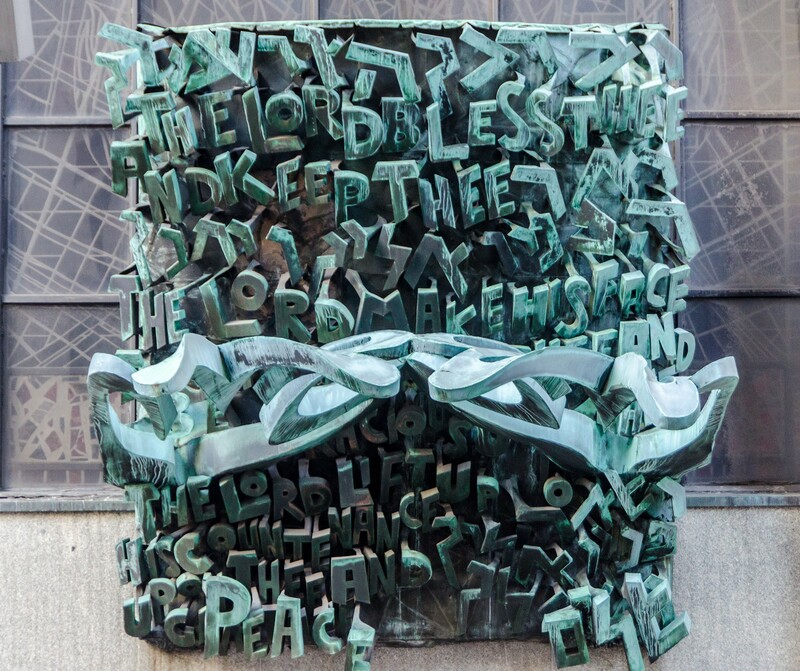 The entrance is marked by a sculpture by Henri Azaz called "Hands of Peace" that features a blessing in both Hebrew and English. 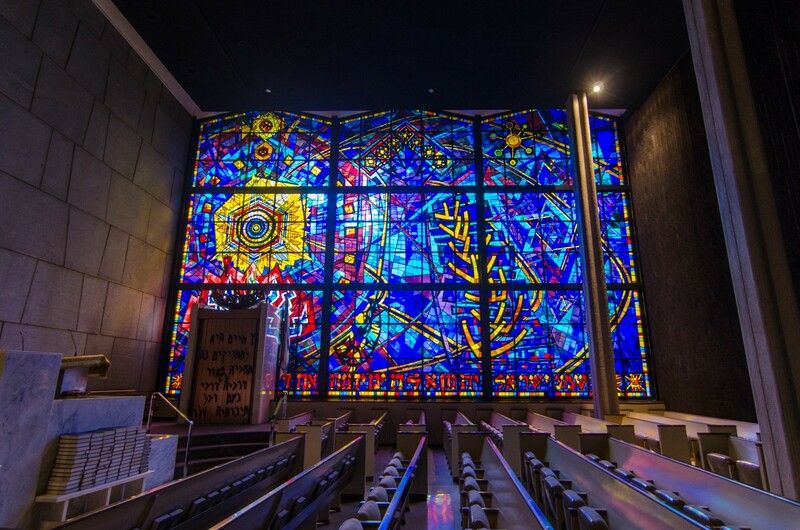 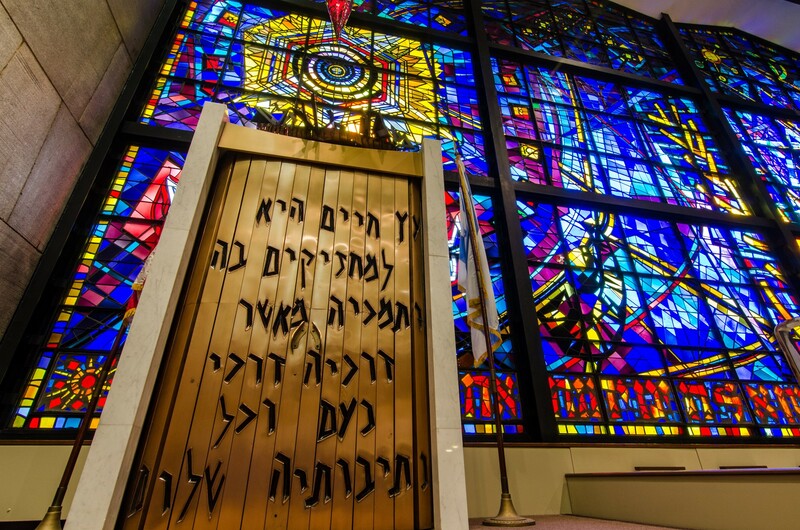 A wall of stained glass by Abraham Rattner breaks the reserved minimalism of the sanctuary—leading one critic to describe the interior as "perhaps the most beautiful synagogue interior in the United States."